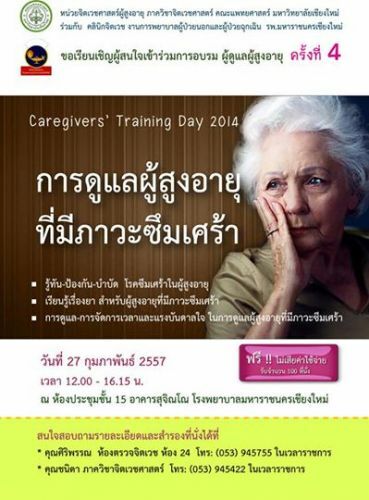 Dr. Wongpakaran arranges the 4th Caregivers' Training Day on late-life depression. There are 100 (an a bit more) audiences attend this successful training each year. Place: Fl 15 Sujinno Bldg, Maharaj Nakorn Chiang Mai Hospital.